Offering the finest facials, peels and skin care therapies and products to reverse the effects of aging and make your skin look smooth and youthful. Look over our complete service menu below to get a feel for what we do and contact us if you have any questions. Please note: Service prices and availability are subject to change without notice. Enjoy our professional skincare and facial products and services to experience the luxurious feeling of deep-down clean that facial peels and masque treatments can provide. Our esthetic staff will apply your choice of facial products to exfoliate and cleanse your pores, balancing your skins natural oil content and leaving you feeling refreshed and invigorated. START HERE....as experienced professionals, we want to provide you with the best possible care and the answers you are seeking. Step one is taking the time for us both to get to know each other, first we learn all about you.... your skin history, home care habits, product choices, past treatments, even your daily time crunch.... you talk, we listen. Then you can learn about the best solution we have to offer you to successfully reveal your beautiful skin. Included is a recommended starter treatment, skin analysis and product evaluation. Please bring everything you have for your face to your appointment. We are experts in the art of chemical peeling. Our approach is progressive rather than aggressive - not too strong - just strong enough. One of our peel solutions is just right for you too. Peels are the most sustainable investment in time and money to get the most improvement and long term maintenance. Reveal peel service that includes the neck, chest, and hands in addition to the facial peel. While not completely painless and yes, you will probably be red for a little bit afterwards BUT... even more importantly, your pores will appear smaller and be free of debris. Our exclusive activated charcoal detox mask softens those stubborn blackheads for extracting followed by a clarifying rinse and vacuum. An exfoliating “Super Facial” with a touch more action! 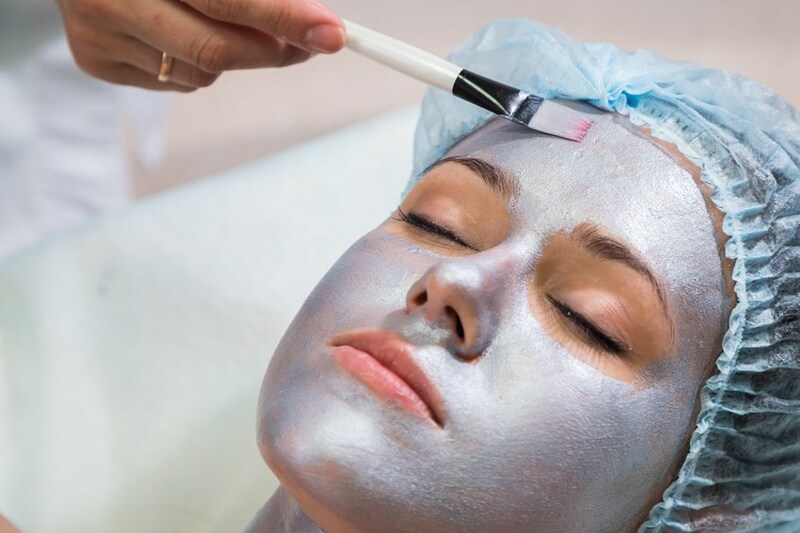 We incorporate our own creamy mask rich with digestive enzymes and fruit acids to dissolve dead skin build up, then sweep it all away with a diamond microdermabrasion wand to polish the skin’s surface and ending with a refreshing iced gel mask. With an Oxygen machine, we duplicate a hyperbaric technique to press a very generous helping of our yummy Youth Serum Cocktail directly into the skin. The weightless moisturizing factors plump, uplift and replace a natural youthful look with a hydration “fill up” without feeling coated in oil. An absolute “must have” to look your very best at every party or event. Please review our policies below before your appointment. Please call (707)539-7546 or email hellobeautiful1@me.com for further information or questions.